Congratulations to ChannelFireball – they are our champions! Congratulations to Reid Duke, who won the finals 3 matches to 1 over Kevin Cron. Congratulations to Oliver Tiu – our Season 6 winner! Congratulations to Eric Froehlich – our Season 5 winner! Eric Froehlich 6-3 Won quarterfinal over Randy 3-0. Won semifinal over Luis 3-0. Won final over Chris 3-2. 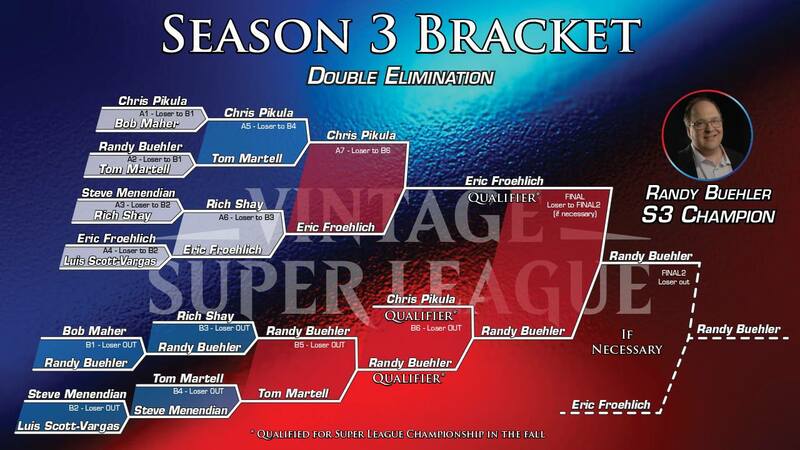 Steve Menendian 6-3 Won tiebreaker vs LSV for the #1 seed. DEFEATED LSV 3-1 IN THE CHAMPIONSHIP MATCH. Luis Scott-Vargas 6-3 Defeated Eric in the semi-finals. Eric Froehlich 5-4 Defeated David in the quarter-finals.